Located 60 scenic miles from downtown Fairbanks, Chena Hot Springs Resort is an excellent place to view the aurora from late August until May. 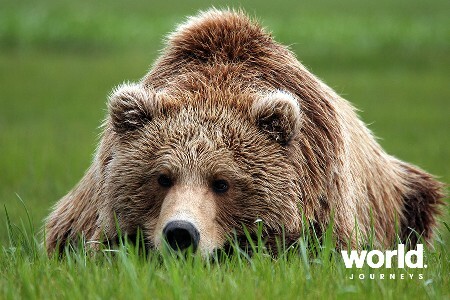 The Resort's remote location also creates a perfect environment for viewing wildlife up close. 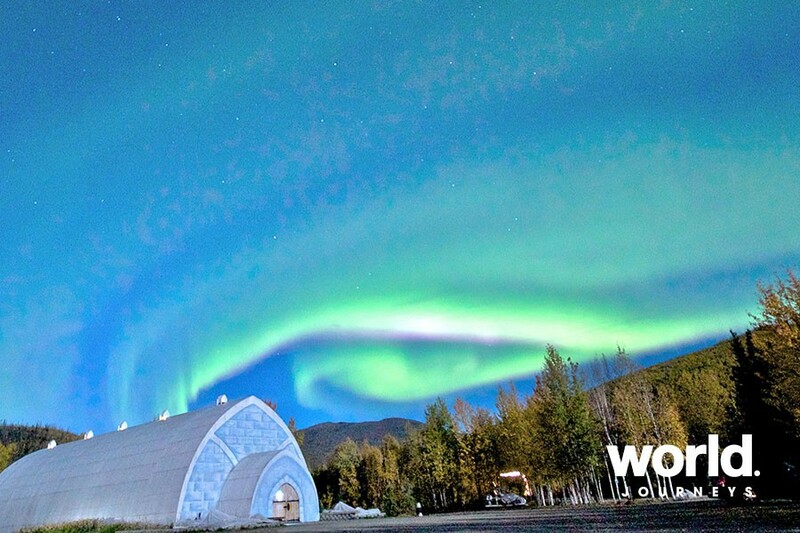 World famous for its legendary healing mineral waters, beautiful Aurora Borealis displays in the winter, renewable energy projects and the Aurora Ice Museum-a year round geothermal technology wonder. 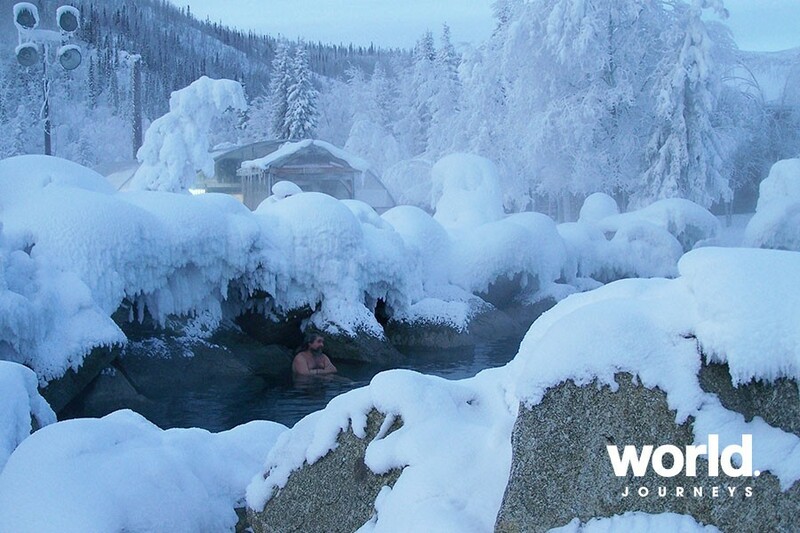 Chena Hot Springs Resort is a great destination for any time of the year. Day 1: Fairbanks > Chena Hot Springs Depart Fairbanks downtown and transfer to Chena Hot Springs Resort. 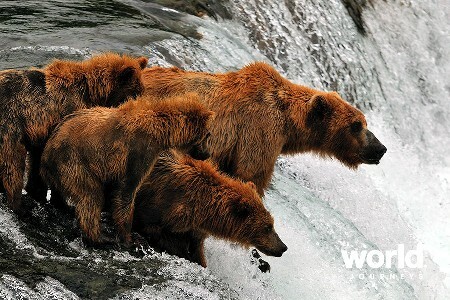 Check into the resort and enjoy the hot springs or other optional tours. 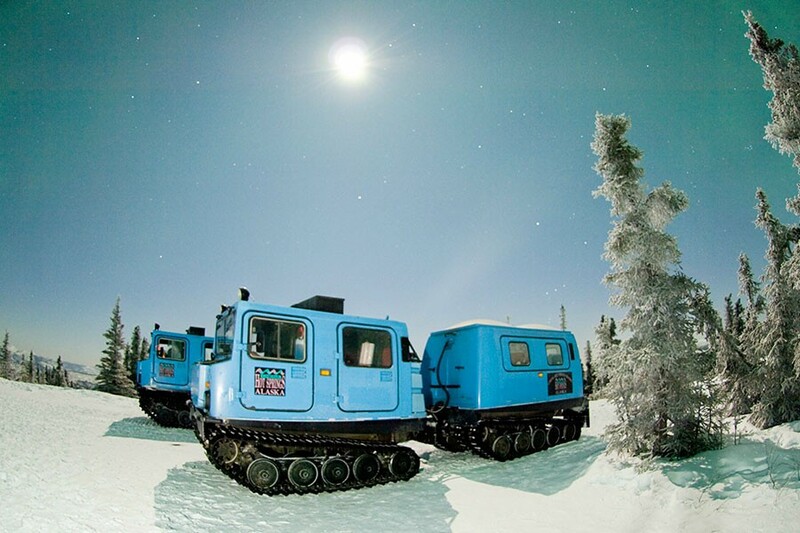 In the evening, depart the Activity Centre at approximately 10:00 pm for the Aurora Viewing Snow Coach Tour. Return to the resort at approximately 2 am. Day 2: Chena Hot Springs Chena Hot Springs Resort is home to the world's largest year-round ice environment in the world, the Aurora Ice Museum! 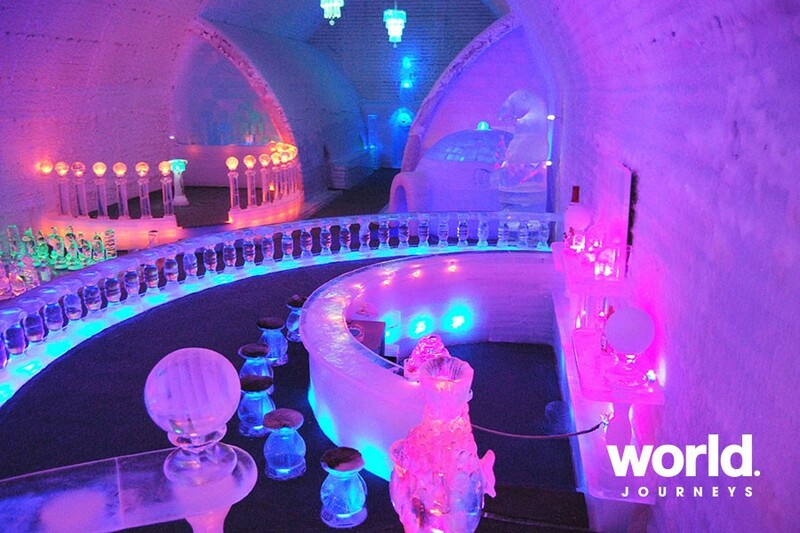 It was created from over 1,000 tons of ice and snow all harvested at the resort. 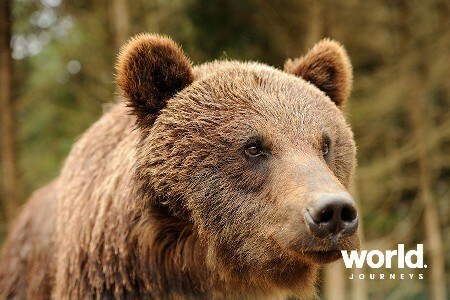 The museum was completed in January 2005 and stays a cool 25 degrees Fahrenheit (-7 degrees Celsius) inside. 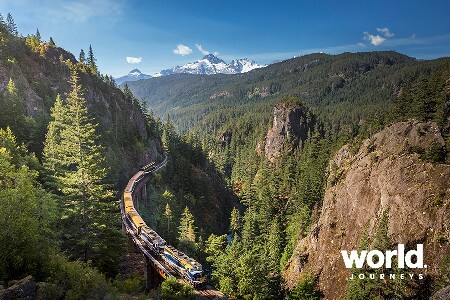 Keeping the museum icy cold in the heat of summer comes from the patented absorption chiller, the first of its kind in the world used for this purpose! Parkas located in the entry way are available free of charge to use during your tour. 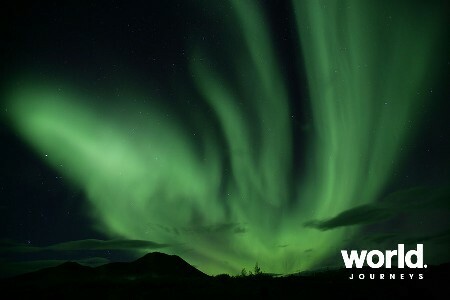 In the evening, depart the Activity Center at approximately 10:00 pm for the Aurora Viewing Snow Coach Tour. Return to the resort at approximately 2 am. 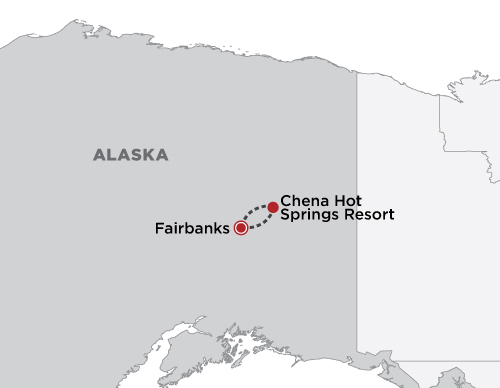 Day 3: Chena Hot Springs > Fairbanks Check out by 10:45 am. 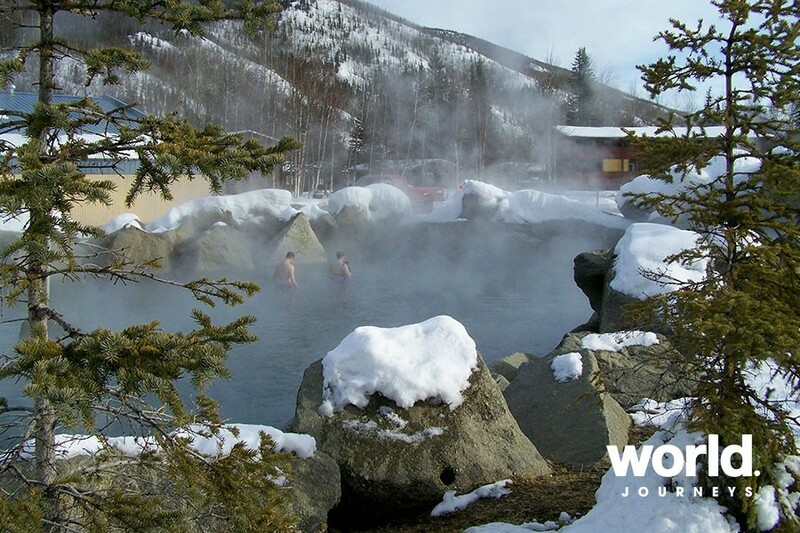 Depart Chena Hot Springs Resort via Chena Shuttle to Fairbanks airport. 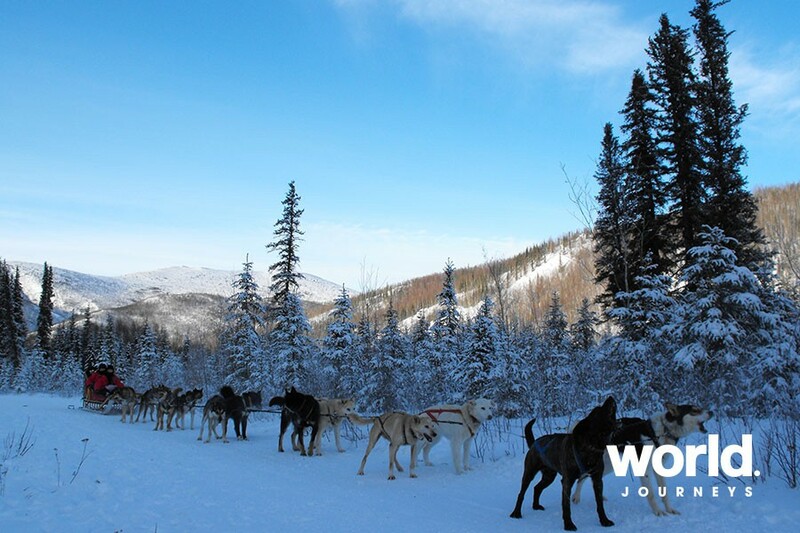 • Snow Machine Tour - Minimum Age 16 years • Dog Sled Tour - Minimum Age 6 years • Kennel Tour - Minimum Age 6 years • Ask your Travel Agent or World Journeys for Triple and Child rates.